By Kate Mcnair June 19, 2018 June 19, 2018 Governance, YALSA Info. But in that time, we haven’t really changed how we ask our volunteers to report on the outcomes of their efforts. Committee chair still keep to the same quarterly reporting schedule, using the same quarterly reporting form from years ago (with a few minor updates and tweaks). At Annual in New Orleans, the Board will be discussing how we can better measure the impact of our volunteer’s time and efforts. We’ll talk about the reporting schedule, what we want to measure and what trends we want to track over time. Learn more in Board Document 31. See the full agenda of the Board of Directors at ALA Annual in New Orleans. All Board meetings are open to attendees, and you can learn more about the Board meetings on the wiki. 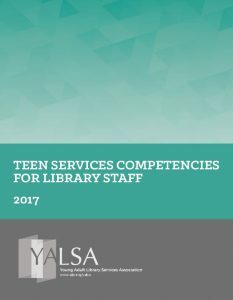 Looking for the best ways to align your work to the Teen Services Competencies for Library Staff? Join us for a free session Friday, June 22, from 1 to 4PM in room 343 of the Morial Convention Center, just prior to the ALA Annual Conference. 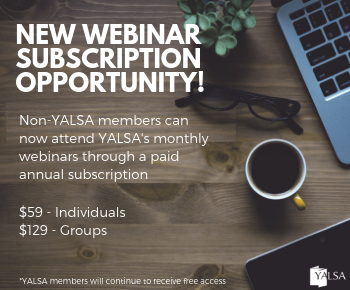 You will hear about how YALSA members have integrated the Competencies into their work and have the tools and resources you need to bring that transformation home. Bring a program plan, a job description, a policy, a staff and/or program evaluation tool, or another tool and workshop it along side library staff from around the country. We’d like to know the types of projects people who plan to attend would like to discuss. That’s why we are asking those who think they will be there to submit our simple form. By Kate Mcnair February 6, 2018 February 6, 2018 YALSA Info. As a part of the Organizational Plan, YALSA renewed the Interest Group model to provide an easy way for members to get involved. 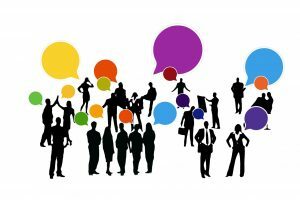 If you are looking for a simple way to find members in your area, or who are aligned with your passion, consider joining or starting an Interest Group. Unlike committees, these are not appointed. Members can opt into them any time, and there is no minimum commitment of work or requirement to attend conferences. Interest Groups are grassroots and member-driven so if you are passionate about something that doesn’t yet have an Interest Group, making one is easy! Work with the Executive Director to develop a petition, get 15 signatures from members who want to be a part of the group, and submit your proposal to YALSA’s Board of Directors. Next, plan a meet-up or make virtual space to engage community members. 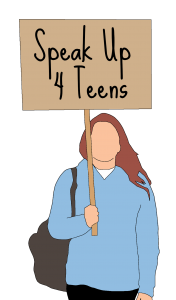 We currently have six Interest Groups ranging from local area groups to topics on mental health and picture books for teens. At Midwinter, the YALSA Board of Directors will be revisiting a plan on how we can best encourage and support the Interest Groups. Originally presented in 2017 the plan lays out a year and half of work to support and grow Interest Groups from the simple, like quarterly messages to members advertising the opportunity, to the much more complex, like a manual for Interest Group conveners. The Board will hear an update on the plan thus far, and moving forward we will discuss how we define success for Interest Groups, what steps YALSA can take to set Interest Groups up for success, and we can best promote Interest Groups to members. If you are a member of an Interest Group, or thinking about starting one, we would love to hear from you what you think. Leave a comment or send me an email and let me know. See the full agenda of the Board of Directors at ALA Midwinter in Denver. All Board meetings are open to attendees, and you can learn more about the Board meetings on the wiki. By Kate Mcnair January 12, 2018 January 10, 2018 YALSA Info. Back in 2010, I was a member of the taskforce that worked on what was then called Competencies for Librarians Serving Youth. 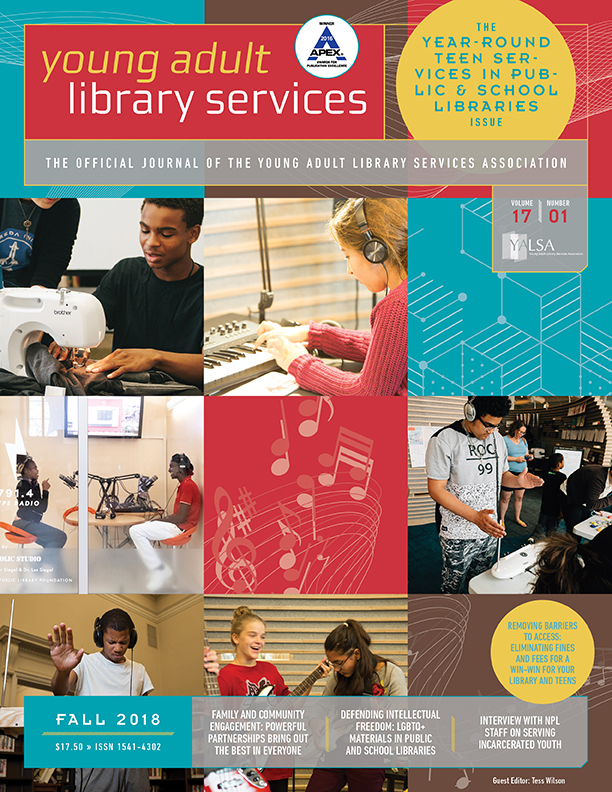 With the release of YALSA’s new Teen Services Competencies for Library Staff and my ten year anniversary in my current role, I have been looking back and remembering past projects. I think the evolution of these competencies is an excellent example of the paradigm shift that staff serving teens have felt over the last five years, that was so eloquently illustrated in the Futures Report. The first thing I noticed comparing these two documents is pretty simple, putting teens first. In 2010 each competency was very staff and adult focused. It was still a time when staff serving teen weren’t seen as industry professionals and you can see that reflected in the document. The 2017 competencies leads with teens! Competency areas like “Teen Growth and Development” and “Youth Engagement and Leadership” are the first thing you see. The Futures Report described a shift to put teens first and YALSA’s organizational plan followed suit. Now the Competencies reflect that change and will continue to lead us into that paradigm shift. Ensures access to a wide variety of library resources, services, and activities for and with all teens, especially those facing challenges to access. When I started in my current position, I knew that serving our Juvenile Detention Center was going to be part of the job. Our Library had already been serving the facility through collections and programs for over 5 years, and I would be taking over from the librarians who started the program (not at all intimidating, let me tell you). At the time, the Juvenile Detention Center (JDC) had an average daily population of about 85. Most residents were male and between the ages of 15 and 18 and stayed in the facility for about 2 weeks. And although the area my library served was predominantly white, the JDC was predominantly teens of color. 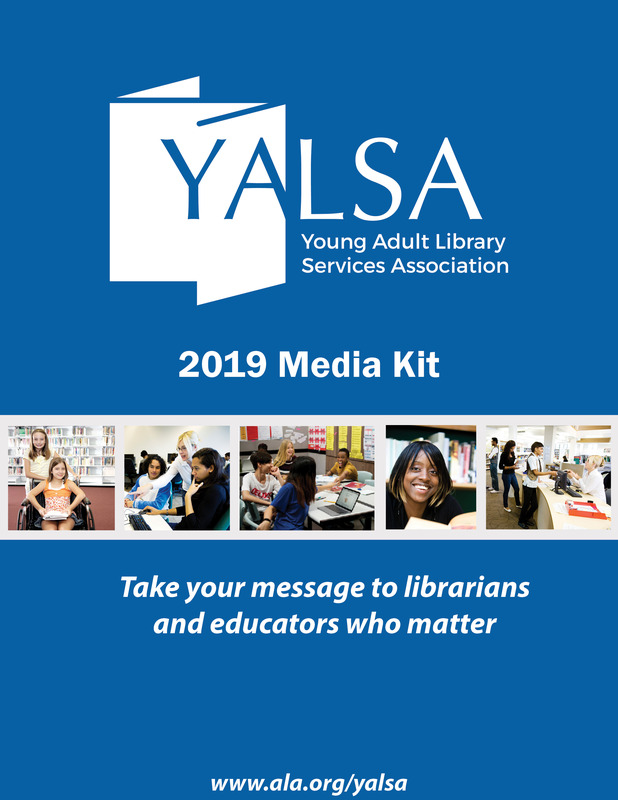 Looking to connect with other YALSA members and staff serving teens in libraries and organizations of all types? Don’t wait around for someone else to name the occasion, host a meet up yourself! I’ve been a YALSA member for years, meeting other members at conference or virtually through volunteer work is awesome, but I know there are members nearby that I just haven’t had the chance to meet yet! So after a long time of talking about it, I teamed up with another local member, Amanda Barnhart, to host a meet up for YALSA members and anyone serving teens in libraries. Our meet up was literally by-the-book, as we just followed the easy instructions in the YALSA meet up manual. 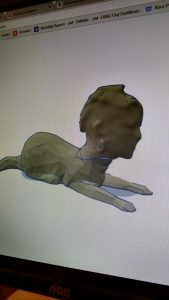 The Content: We decided to host our event on a weekday evening and focus on a make-and-take format where attendees could learn how to take a 3D scan of themselves using a Microsoft Kinect and mash it up with another 3D model in Tikercad. This is a program that attendees could easily replicate with teens with minimal equipment and (if you already have an outdated Kinect) no cost! Spreading the Word: Amanda and I advertised the event to our local public libraries, school district and library schools. We created a public facebook event to share and track attendance and YALSA staff helped us get the word out to local YALSA members. Takeaways: YALSA staff provided us with copies of the Making in the Library toolkit and STEAM Programming toolkit as well as fliers about the benefits of membership. We also had signed books from two authors who had recently made trips through Kansas City as door prizes. Oh, and we printed everyone’s mashup too! 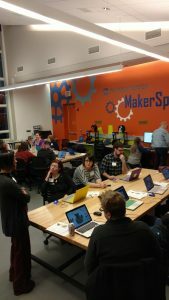 Outcomes: We had 14 attendees at our first local meet up and everyone had a blast! We even had one attendee make the trip all the way from Iowa to attend! After the event we sent out an attendee survey asking what people liked best and wanted to do more and the number one response was more networking! Which leads us to our next steps. Two attendees have graciously volunteered to host our next meet up in a few months. We hope to keep this going with meetings 4-6 times a year, giving local YALSA members a chance to network and talk about common goals and challenges in serving Kansas City teens. If you want to host a meet up in your town, check out YALSA’s meet up resources. It makes planning easy and gives you simple step-by-step instructions to host a great event. Big thanks to YALSA members Dawna Ofstehage for helping take 3D scans and Dennis Ross for setting up the space and welcoming everyone to his Library! By Kate Mcnair October 12, 2017 October 10, 2017 Advocacy, Committees and Volunteer Opportunities, YALSA Info. Two great opportunities are on the horizon for advocates for teens. ALA President Jim Neal has launched a new initiative that is committed to building a small and passionate crew of library advocates. The 10 to 12 ALA members selected for this impactful group will become experts in explaining the importance of libraries to colleagues, legislators, funders and influencers. Policy Corps members will be provided specialized training in speaking to these constituents and will be coached into becoming advocacy experts. This is an amazing opportunity to highlight how libraries help teens overcome the challenges they face! Check out ALA’s website to learn more about the qualities of an ideal candidate and apply by November 3. The District Days Taskforce is seeking member volunteers for work April-September 2018. If you are interested in advocacy and want to be a leader without having to travel, please volunteer for the District Days Taskforce. District Days is YALSA’s August initiative to encourage members to advocate for and with teens through local engagement with elected officials (including members of Congress who are on recess). Studies show that in-person meetings with informed constituents can have a huge impact on legislative decisions. 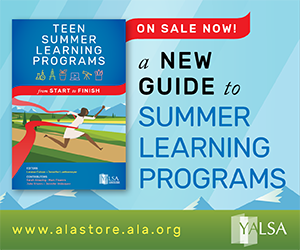 Help provide YALSA members with the statistics, resources, training, tools and best practices they need to build relationships with elected officials around the critical role libraries play in supporting successful teens. Learn more and volunteer by December 1! By Kate Mcnair August 29, 2017 September 5, 2017 YALSA Info. Congress is on recess, members are back in their home states and they want to hear from you! 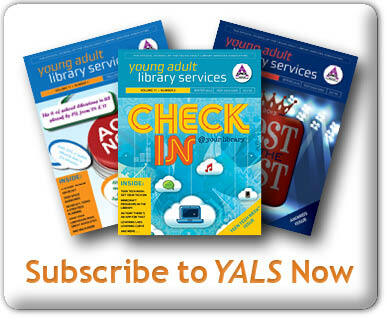 During District Days, YALSA has all the tools you need to advocate for teens and libraries! 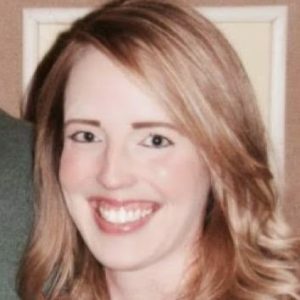 Kate McNair, YALSA Board Member, interviewed Meaghan Hunt about how she connects elected officials to advocate for teens and libraries. You are a special projects librarian for the Metropolitan Library System in Oklahoma City. Part of that job is working in government relations, what does that entail? While some libraries are formally a part of their city or county governments, our system is a separate nonprofit organization, governed by a commission of representatives from each municipality in our service area. All that said, we are still funded by tax dollars, so maintaining strong relationships with our government officials is important. At our library system, we encourage each library manager to build relationships with their local and city governments, and coach them to build confidence in doing so. At the system level, we advocate to state and federal legislators about how library funding impacts their districts and constituents. I attend co-chair the Oklahoma Library Association’s Legislative Committee and also serve as a delegate for ALA’s National Library Legislative Day. 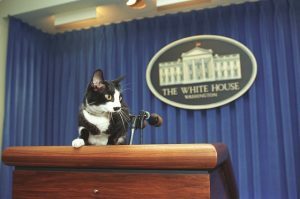 In your government relations role, what are you typically communicating with elected officials about? On behalf of my library system, I help to coordinate library visits and town hall meetings for elected officials, and ensure they are invited to groundbreakings, ribbon cuttings, and similar publicity events. We also share information about services that may be of interest to them specifically; for instance, re-entry programs for veterans, school partnerships, and so on. As the state’s legislative chair, I help to ensure we have advocates at the state capitol every week during legislative session. Coordinating at the state level is a much different effort, since our association represents both urban systems and rural libraries– but we try to ensure that our members check in with their legislators throughout the year, updating them on how tax dollars are being used to educate constituents of all ages. I believe it is important for them to see public funds in action, doing far more than just checking out dusty books. 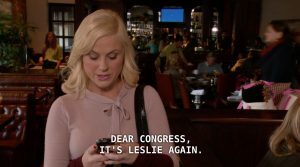 What tips and tricks have you found work best when communicating with elected officials and their staff? Always contact offices as far in advance as possible. 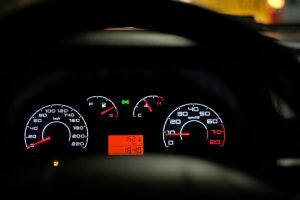 Many times it may come down to the wire when you’re scheduling, but you want to get on their radar very early, as these folks receive hundreds of invitations to various events each week. A good start is filling out the official’s scheduling request form, if they are a high-ranking official and have one on their website. Others staff full-time schedulers or executive assistants who you can contact to arrange a meeting. These staffers tend to be very approachable– they deal with constituents all the time. Make sure they know who you are and make it a point to remember who they are (I once learned the name of a staffer’s pet and it was a great ice-breaker for phone conversations).